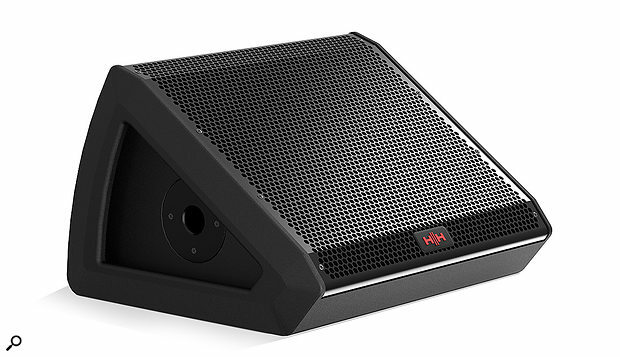 We’ve looked at various speakers from the HH Tessen series, and this latest model is designed as an affordable floor monitor that can also double as a pole-mounted PA speaker for those of us in smaller venues. To that end it is fitted with a voicing switch to shape the output for PA or, with less low end and an emphasis on the mid-range, monitoring. The shallow wedge format is suitably compact and the shaped end-cheeks provide an effective ‘handle’ for lifting as well as protecting the recessed control panel. Constructionally, the speakers follow the paradigm set by the rest of the line, with wooden cabinets finished in a tough, textured black coating and incorporating a perforated steel grille backed by acoustic foam to protect the speakers. All this is designed in the West Midlands, while manufacturing is carried out in China. There are three models in the series, kitted out with 10-, 12- and 15-inch drivers, and we opted for the middle one to review. The TSM‑12A’s 12-inch woofer has a Kevlar-reinforced cone working alongside an Italian-designed LaVoce one-inch compression driver, delivering a well-focussed and symmetrical 70-degree conical directivity. Rubber feet are fitted to the base of the unit for floor use, and there’s also a standard 35mm pole-mount socket fitted into one end for PA use. All the connections and controls are well recessed on the opposite side to the pole-mount, which places them on top when mounted. A groove is cut through the control panel end-cheek to accommodate the cables. While the speakers feel robust, the weight is very manageable at 15.3kg, while the overall dimensions of 320 x 510 x 455 mm, combined with the wedge shape, make the speaker easy to slot into the back of a car. Power comes from an 800W Class-D amplifier fed from a balanced combi input that can accept XLRs or quarter-inch jacks and is equally happy when fed from a balanced or unbalanced source. A frequency response of 65Hz to 20kHz is quoted along with a maximum SPL of 124dB, and there’s the usual safety limiter built in to help avoid driver abuse. A simple level control sets the input gain, a slide switch selects the voicing and a second slide switch can be used to turn off the illuminated logo if darkness is your thing. I tested the TSM‑12A as a floor monitor, a job to which it is perfectly suited because of its physical format and monitor voicing option, which prevents the low end from getting muddy. It is more than loud enough given that safe hearing levels are far below its SPL rating, while its low wedge angle means that ageing rockers will find it easier to get their foot up on the monitor. For my next test I took the TSM‑12A to a pub gig to see how it held up as a PA speaker. 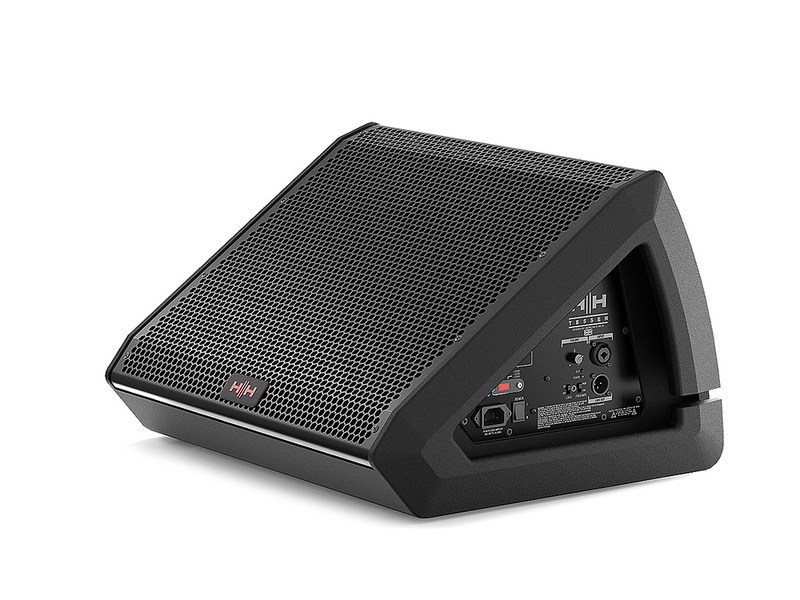 While the coverage angle is a little narrower than ideal for PA use, it is spot on in a monitor situation where you need to limit spill, so any dual-purpose speaker of this type must always represent a bit of a compromise. Nevertheless, as a mainly vocal/acoustic guitar PA speaker in a medium-sized pub, it did a fine job, with plenty of clean level on hand combined with a generally well-balanced tonality across the mids and highs. It would need help from a sub to handle material with any significant bass end, but as a monitor that can double as a vocal PA in smaller venues, it copes perfectly well. On a logistical note, the control panel is quite difficult to access once the speaker is on a stand, but assuming you’ve set the slide switch to PA and not Monitor, the only thing that you might want to adjust is the volume, so that’s not a deal-breaker. 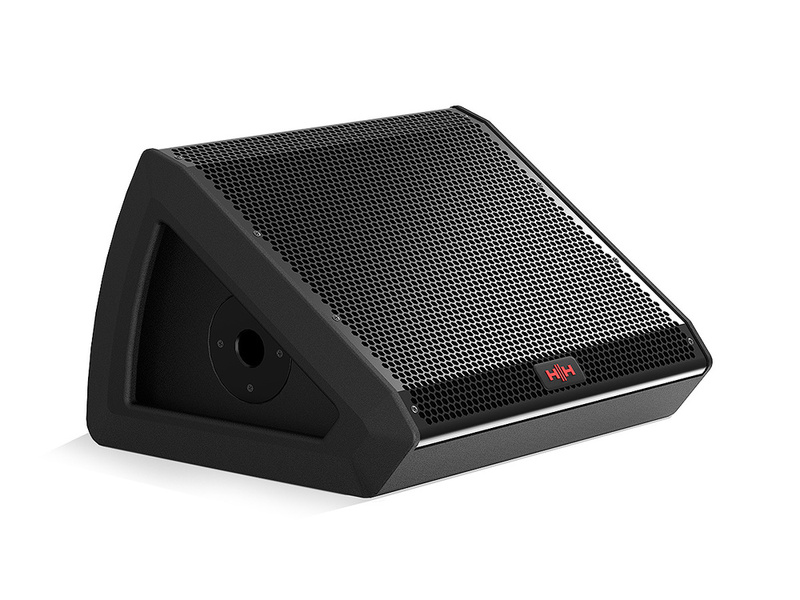 Overall, the TSM‑12A is a practical and affordable wedge floor monitor that can also provide a useful contingency in case one of your powered PA speakers dies on you! There are many powered floor monitors on the market but in this price range the HK Premium Pro series and the low end of the dB Technologies line probably come closest. Doubles as a small PA speaker. Dispersion a bit narrow for serious PA use. The TSM-12A is a solidly built, decent-sounding powered monitor at an affordable price. £339 per speaker including VAT.